I like serious investigative journalism that's released as podcasts. I enjoyed Serial with their story about Adnan Syed, and in a similar vein there's now The Drop Out from ABC Radio. 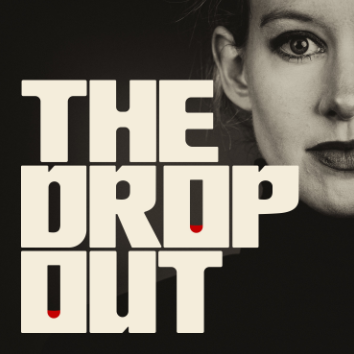 I'm surprised that I hadn't heard about Elizabeth Holmes or Theranos, or at least that if I had heard about them, I hadn't taken much notice of them. After listening to The Drop Out, I'm stunned that it hadn't been something I already knew all about. It's a story of unyielding ambition, combined with bullying and deception. Holmes was described as the world's youngest self-made billionaire. She started the company at 19, and was the darling of the financial world, and of her backers who basically refused to listen to anything that questioned what she was saying. Those backers included some highly influential people. The story of how George Shultz wouldn't believe his own nephew when he was trying to explain the issues showed how deeply people bought into what she was saying. Basically, they wanted to believe it. Rebecca Jarvis is the chief business, technology and economics consultant for ABC News and, along with her producers and researchers, takes you on a fascinating behind-the-scenes tale of what happened and how it all came unstuck. It's the result of years of research. I'd highly recommend that you listen to this, if you have the slightest interest in technology or business. Next Next post: Learning Mandarin: Larger numbers and what's up with 20,000 ?